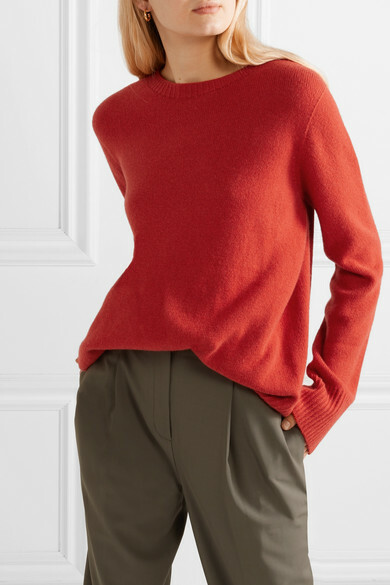 The Row's 'Sibel' sweater is knitted from cozy wool and cashmere-blend in a rich red hue - it will really pop against spring's muted tones. 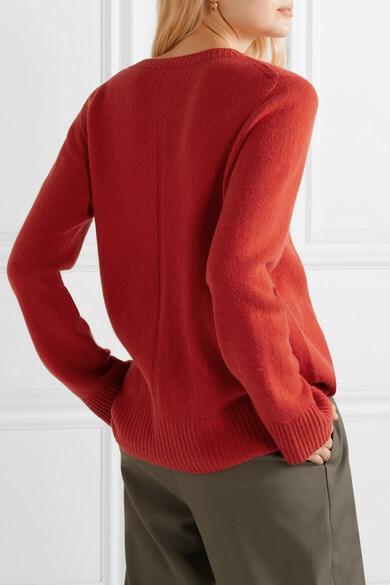 This style has a relaxed shape and classic ribbed trims along the neck, cuffs and hem. 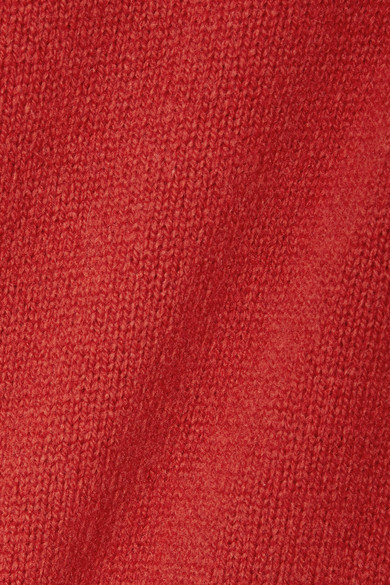 The sleeves are extra long and extend well beyond the knuckles. 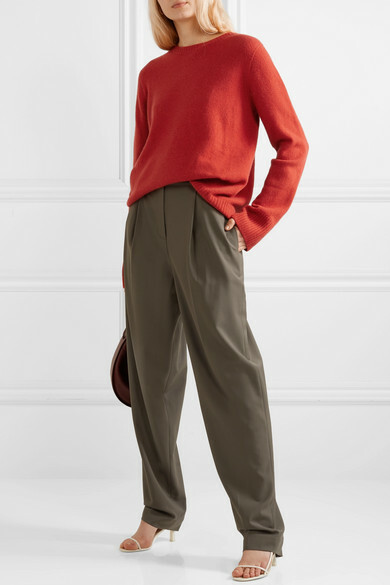 Shown here with: The Row Pants, The Row Shoulder bag, The Row Sandals, Sophie Buhai Earrings.